Oh my gosh, you’ve gotta try Cracked Out Bacon Macaroni and Cheese! 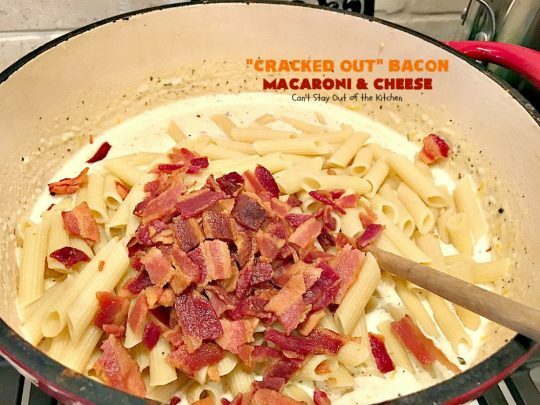 This amazing recipe has it all! It has a thick, creamy, cheesy sauce with several different cheeses. 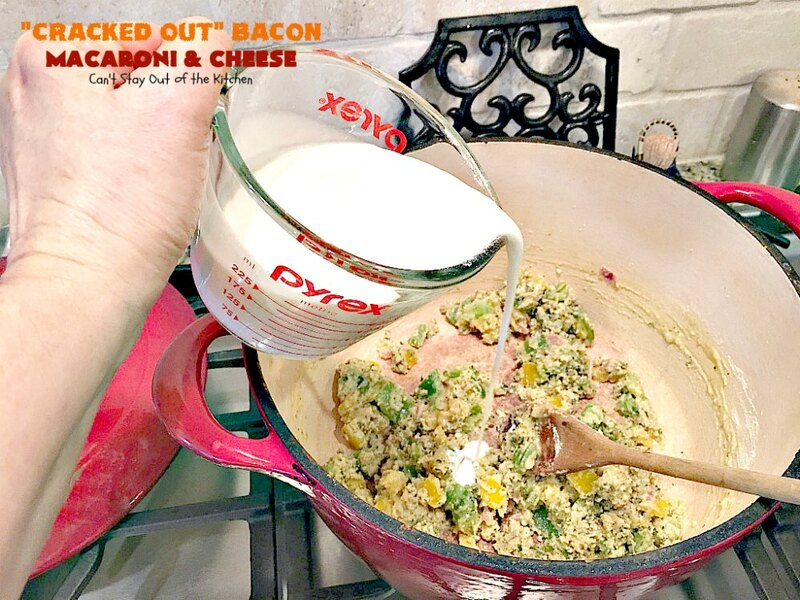 Plus, it uses bacon (everything is better with bacon, IMO) and a Homemade Ranch Dressing Mix. Talk about spectacular! Add to that, I used gluten free Ronzoni penne noodles, gluten free flour, and gluten free bread crumbs so even I could enjoy the recipe. Yes, sirreee! This mac & cheese recipe is to die for! 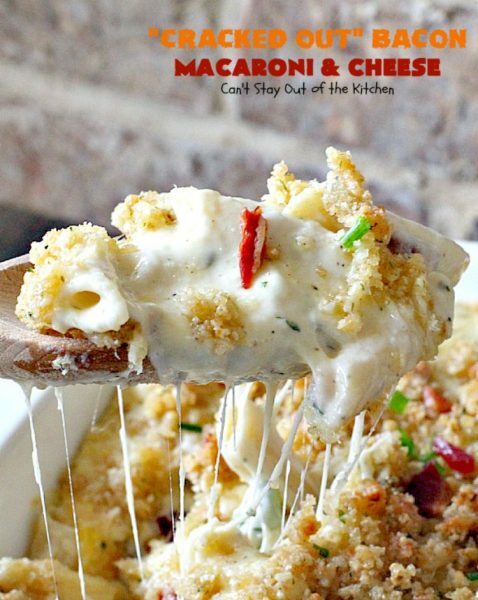 Okay, not that anyone should be surprised but I love macaroni and cheese….even the cheap stuff. 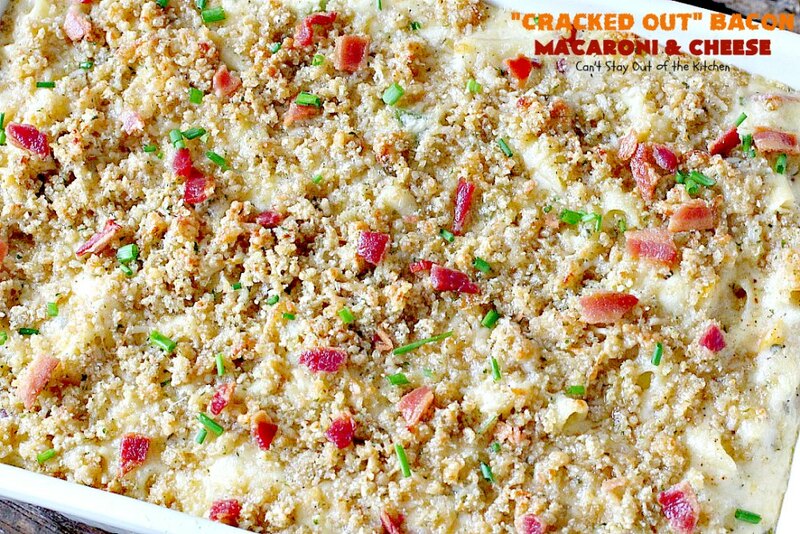 I always have–although my Mom NEVER made macaroni and cheese when I was growing up. But I discovered the boxed macaroni mixes back in the 70s. Mike Deem, a coworker of mine back when I used to drive monorails at Walt Disney World, made this stuff all the time. Several of us would go over to his apartment frequently and play cards (usually spades), and he would occasionally whip up some of this macaroni. Back in those days you could pick up mac & cheese for 10 cents per box! I loved mac and cheese. 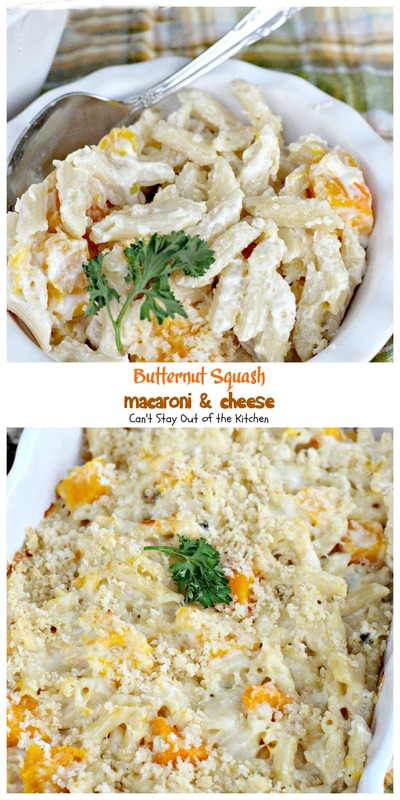 When my kids were little I started branching out and trying to concoct my own versions of mac & cheese. I made it a lot for my kids because they loved it as much as I did. 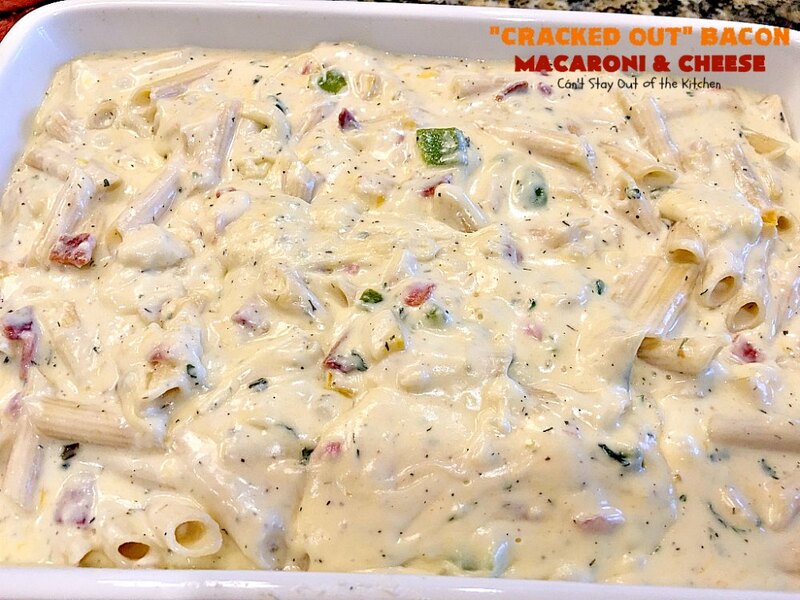 I liked it creamy, cheesy and with a dash of hot sauce so that it wasn’t too bland. My gluten free version is awesome. But it tastes just as wonderfully with regular pasta, bread crumbs and flour. When I started trying to eat more gluten free back in 2013, I stopped eating quite so much pasta. And, quite frankly, many of the ready-made gluten free pastas were awful. They were toooooo starchy and just didn’t taste as well as regular wheat pasta. A few months ago I saw the gluten free Ronzoni pasta. They make theirs with brown rice, corn and amaranth flours. One taste and I was hooked. Ronzoni GF pasta beats any other kind (except a homemade GF pasta), that I’ve tried. Cracked Out Bacon Macaroni and Cheese is so heavenly. You will love this dish! 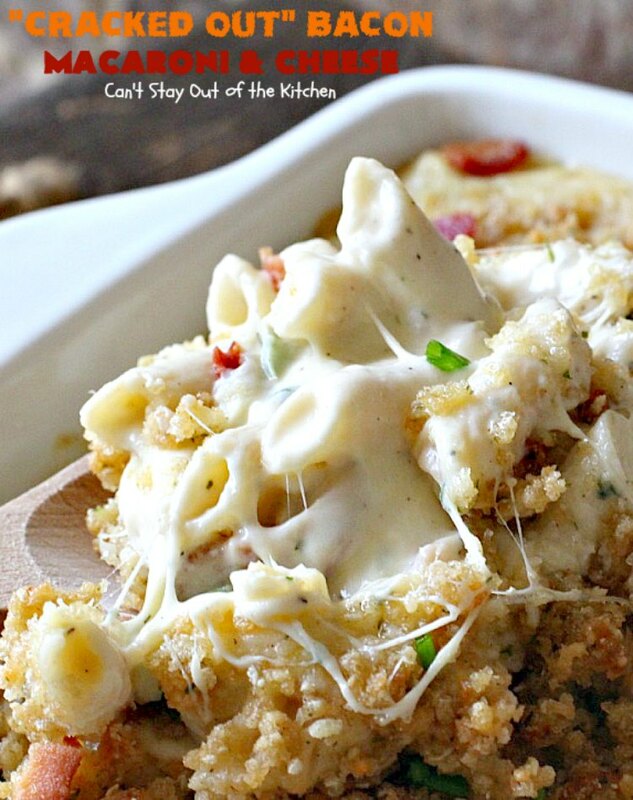 This mac & cheese is very cheesy and is even great reheated! I garnished both the casserole dish and individual servings with additional bacon, cheese and chives. It was fantastic! I used these ingredients, plus a green bell pepper. The clear jelly jar contains Homemade Ranch Dressing mix. I used GF Ronzoni penne pasta, GF flour from Bob’s Red Mill, and gluten free bread crumbs from 4C. I purchase those products at Walmart or Sprouts. Fry or microwave bacon until done. Set aside on paper towels to drain. 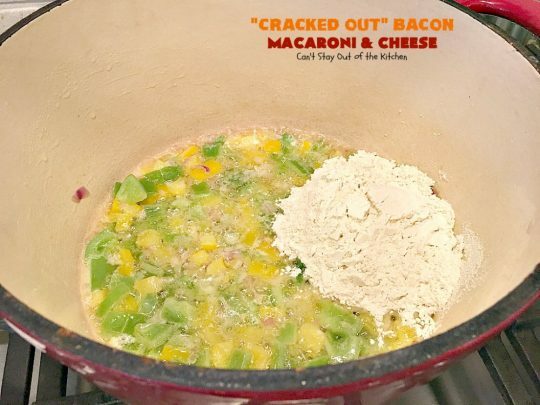 Once bacon has cooled sufficiently, break into bite-sized pieces. Set aside. Melt 1 stick of butter in a large Dutch oven or stock pot over low to medium heat. Add onion, garlic and bell peppers and saute until veggies are tender–about 5-8 minutes. Add GF flour and stir to combine. Add Homemade Ranch Dressing Mix and stir to combine. Turn down heat to low. Add heavy whipping cream about 1/4 cup at a time and whisk to incorporate after each addition. 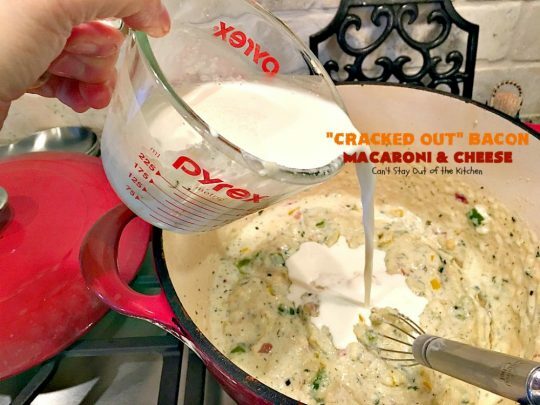 Add half-and-half about 1/4 cup at a time and whisk again after each addition until all the half-and-half has been added. Add salt, pepper, red pepper flakes and cayenne pepper. 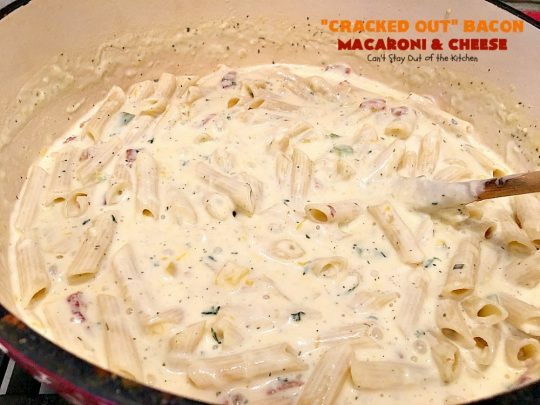 Add 1 cup sharp cheddar cheese, 2 cups Italian 6-cheese blend and 1 cup fontina cheese. (I was unable to locate the fontina so I used 3 cups of the Italian blend.) But any combination of the cheeses will work. 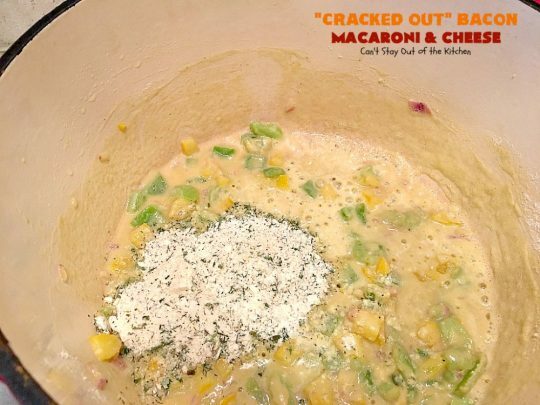 You can also use 4 cups of sharp cheddar cheese if that’s all you have to work with, although the six-cheese blend provides incredibly rich flavor. Stir ingredients to combine and melt over low to medium heat. Add gluten free pasta that has been cooked and drained according to package directions. Add about half to two-thirds of the bacon. Stir to combine. Don’t worry that the sauce looks thin here. It thickens up as it bakes and cools. 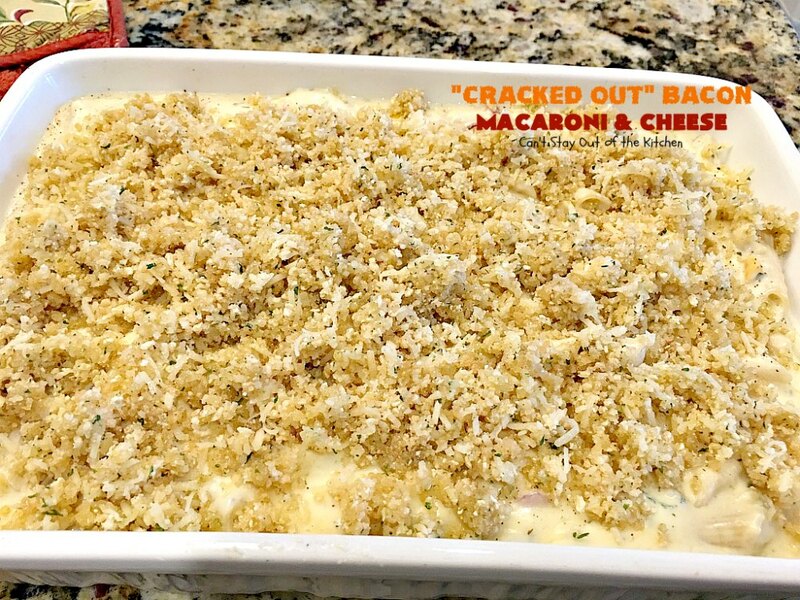 Pour macaroni and cheese into a greased 9×13″ glass baking dish. 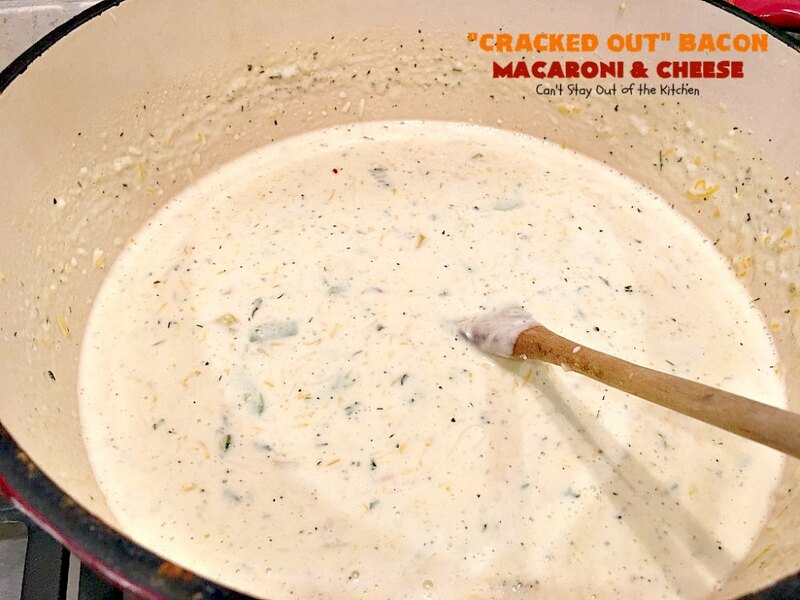 Sprinkle the entire casserole lightly and evenly with cayenne pepper. Combine half stick of butter (4 tbsp. 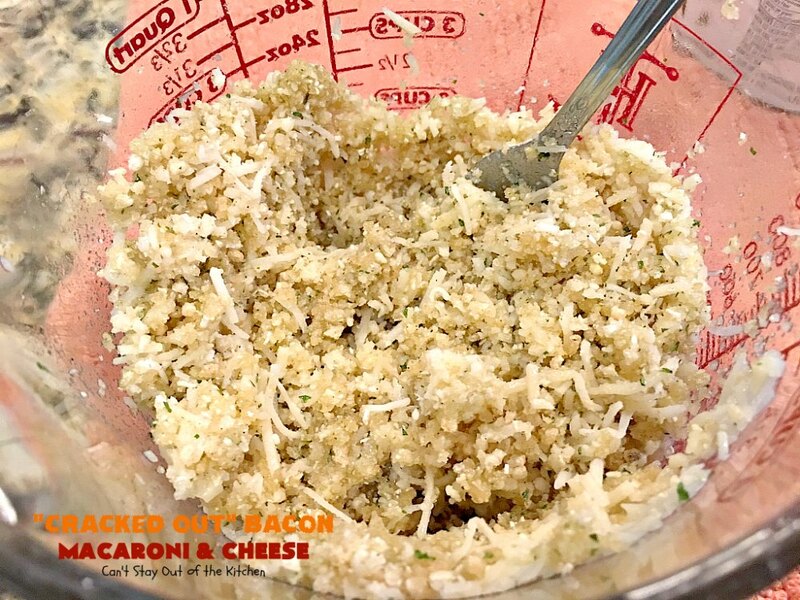 ), GF bread crumbs, 1/4 cup 6-cheese blend and 1/3 cup parmesan cheese. Stir to combine. Sprinkle bread crumb mixture over top of macaroni and cheese. Bake, uncovered, at 350 for about 15-20 minutes until bread crumbs are golden brown and sauce is bubbly and heated through. Garnish casserole with additional bacon and chives. As the casserole sits out a little, the sauce thickens. 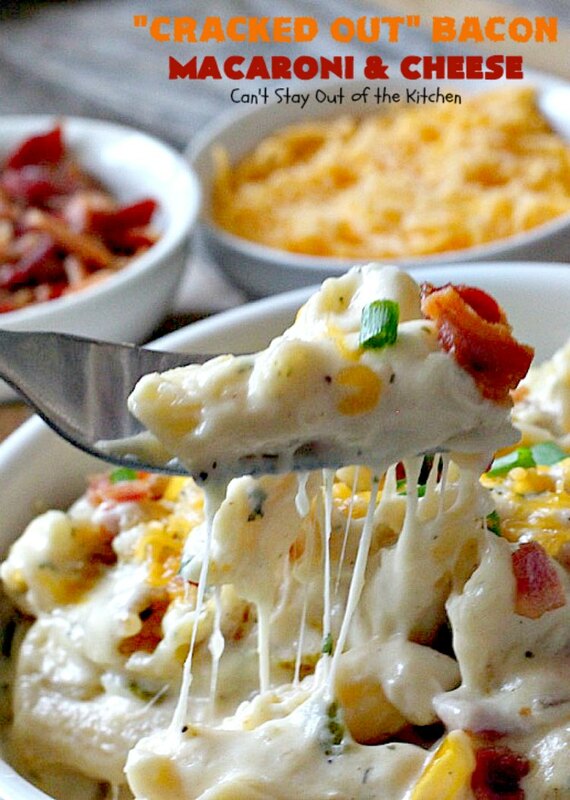 It’s super cheesy and delicious. 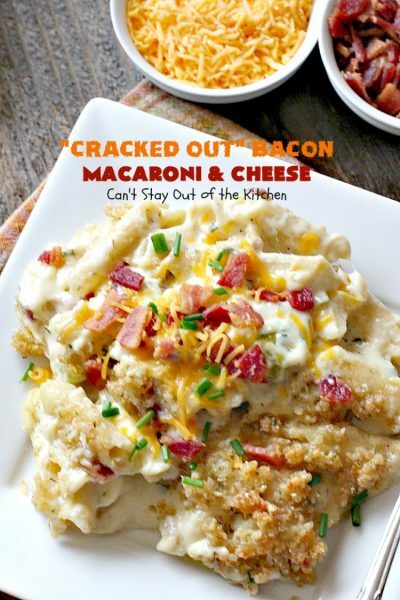 Cracked Out Bacon Macaroni and Cheese is one of the BEST macaroni and cheese dishes you’ll ever eat. 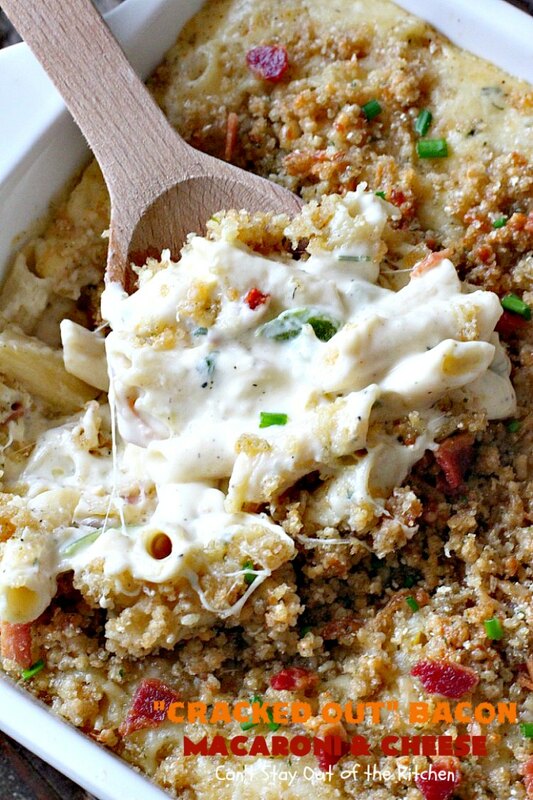 Every bite of this pasta dish will have you salivating for more! 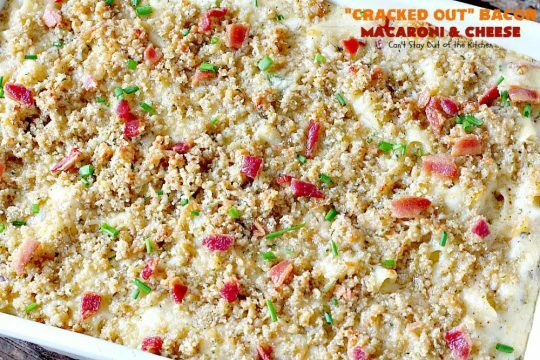 This macaroni and cheese dish is the ultimate in comfort food. 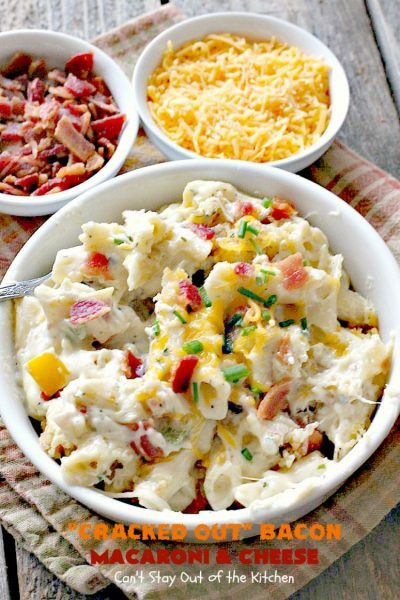 Bacon, Ranch dressing mix and several cheeses make this pasta, creamy, cheesy and absolutely divine! Gluten free. Prepare GF noodles according to package directions. 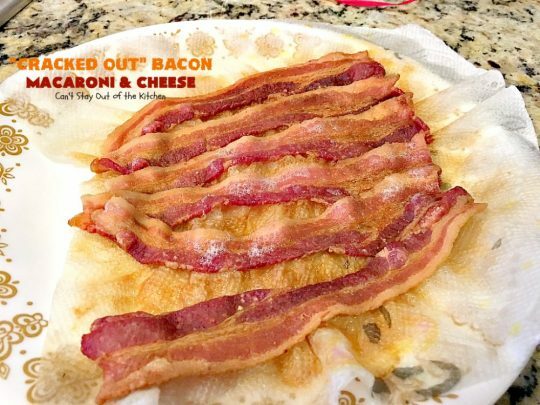 Cook bacon and drain on paper towels. Add onion, bell peppers and garlic and sauté about 5-8 minutes or until veggies are tender. 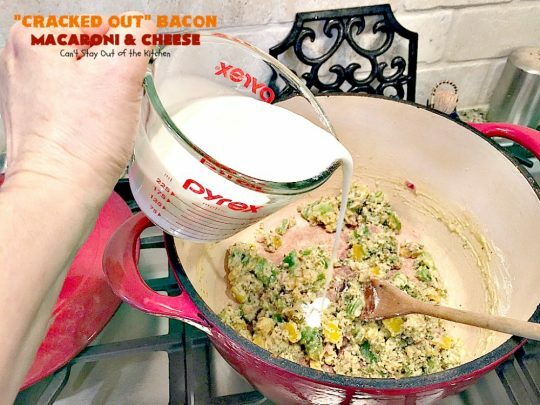 Whisk in gluten free flour and Ranch dressing mix. Slowly add whipping cream and whisk until incorporated. Add half-and-half and do the same. Add salt, pepper, red pepper flakes and cayenne pepper. Cook over low to medium heat until sauce is thick. Add cheddar cheese, Italian blend and fontina cheeses and stir to combine. Combine ½ stick melted butter, GF bread crumbs, parmesan cheese and ¼ cup Italian cheese blend. Drain noodles and add to Dutch oven with cheese sauce and about one-half to two-thirds of the bacon. Sprinkle evenly and lightly with cayenne pepper. Sprinkle bread crumb mixture over top. Bake, uncovered, at 350° for about 15-20 minutes or until crumbs are golden brown and mixture is heated through. Garnish with bacon, chives and additional cheddar cheese, if desired, before serving. NOTE: The amount of cayenne pepper you sprinkle on top of the casserole is dependent upon your personal preference. 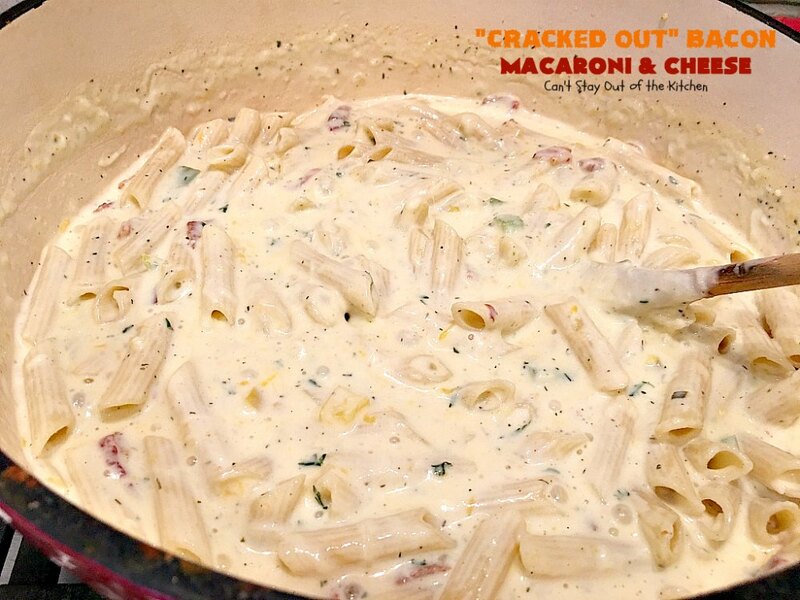 If you don’t add some kick to the cheese sauce, the recipe is too bland. If you prefer spicier dishes, than add crushed red pepper flakes and cayenne pepper according to your desire. NOTE: Low-fat, non-fat substitutes will not work well for the butter, cream, half-and-half, cream and whole-milk cheeses in this recipe. 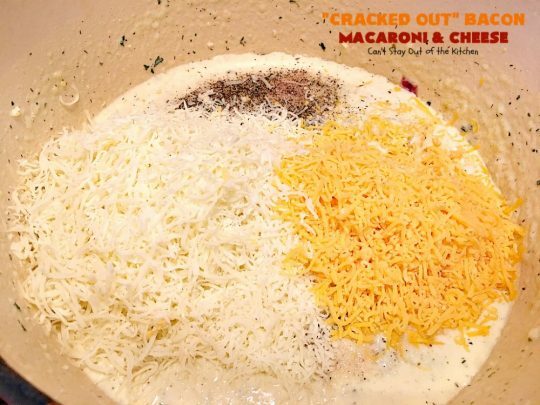 NOTE: While using these cheese choices is optimal, you can use all cheddar cheese, or any combination equivalent to four cups of cheese for the sauce. Extra cheese, bacon and chives on top makes Cracked Out Bacon Macaroni and Cheese the perfect supper dish! 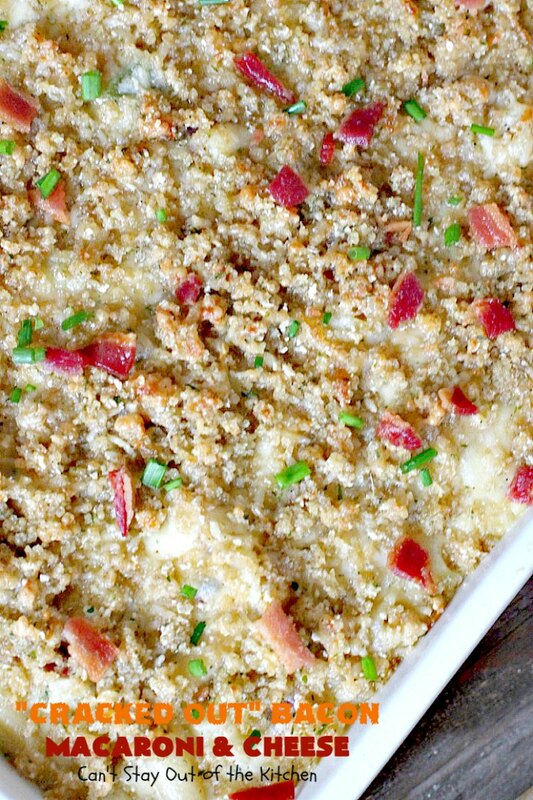 If you’re looking for a dynamite Mac & Cheese dish to serve company, this is it! 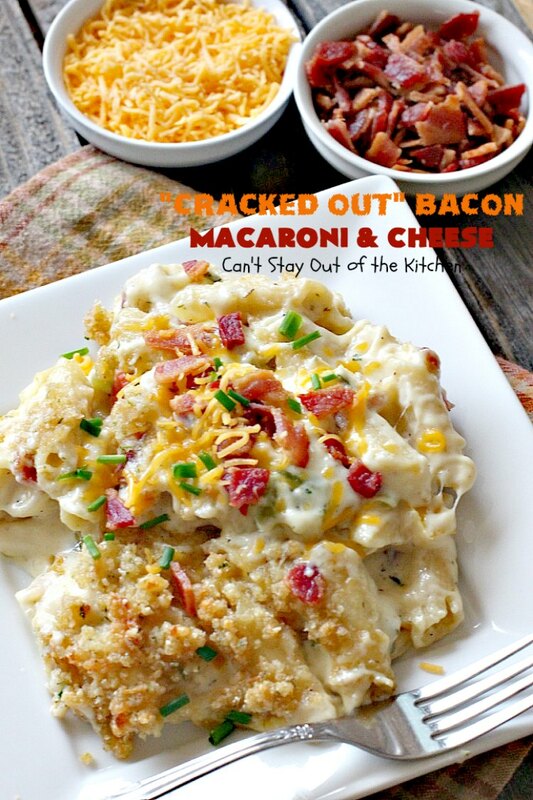 Cracked Out Bacon Macaroni and Cheese is one of my favorite ways to eat Macaroni and Cheese. 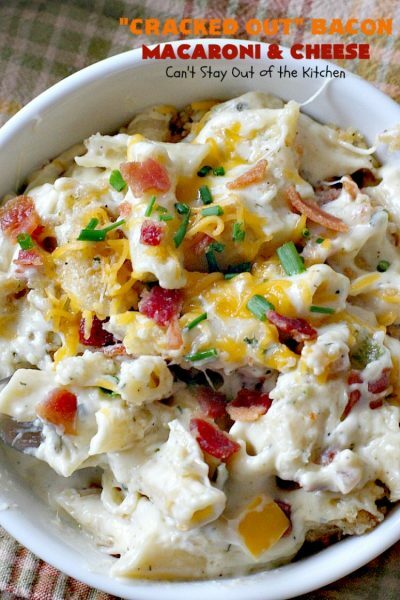 The bacon and Ranch Dressing Mix add incredible flavor. Hey, Kim, this turned out fantastic. Even making it gluten free it was wonderful. 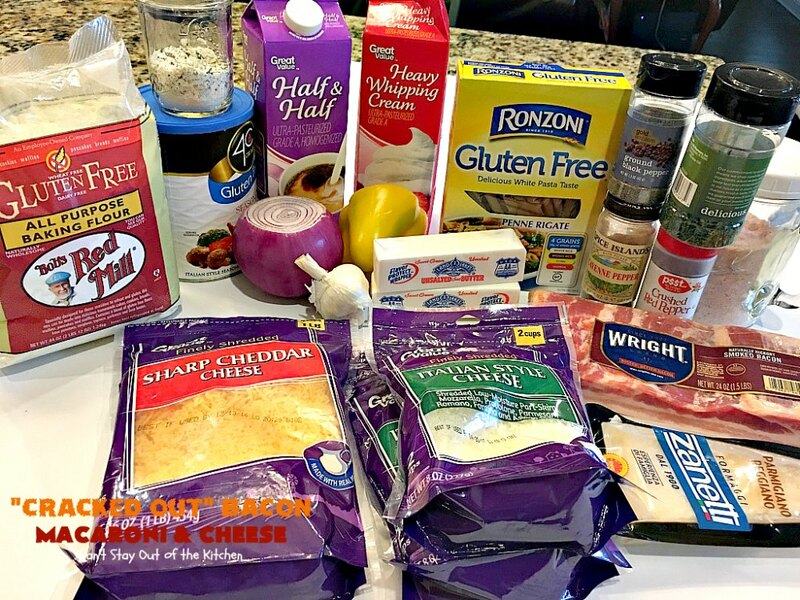 If you aren’t gluten intolerant you can easily use regular ingredients. I think bacon makes everything taste better. 🙂 The ranch dressing mix doesn’t hurt either. Ha! Would packages REAL BACON pieces work as well? Yes, that would work fine. You may need a couple of those packages to get enough bacon. Enjoy.